The essential guide to handling your money from the nation's favourite money man - new for the Quick Reads series. The essential guide to handling your money from the nation's favourite money man - new for the Quick Reads series. 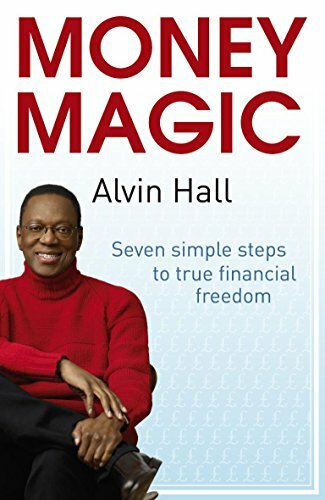 Do you worry about bills?Are you finding it difficult to save?Is it hard to budget when you don't have much money?No matter how you handle your cash, or how little money you have, Alvin Hall's Money Magic is the first step to making money work for you. As he takes you through his seven steps to success, Alvin gives you advice that really works. Find out how to: -Track your money habits -Learn about your money personality -Get out of debt -Start to save -Make money work in a relationship -Become a money magic family -Chase your money dreams Based on years of experience, Alvin's Money Magic is full of easy-to-follow tips and advice. It will get you started on the road to financial freedom, whatever your current situation. A short, sharp shot of advice from the Quick Reads series.